DVD ripping is always one of the toughest work for media processing. How can you rip DVD without paying a buck? There are many payware tools out there but we are sure that you want to it for free. That’s where Power Video DVD Copy comes in handy because it is the Best DVD Ripper that can rip DVD video into digital video formats for later playback on your PC or portable devices. 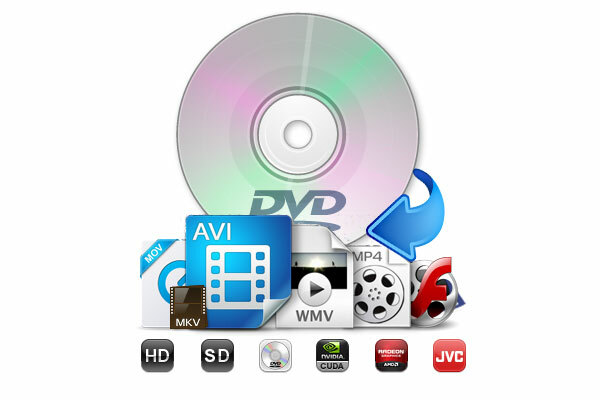 DVDs are the safest ways to store audio and video files; however, it means that you cannot take the content with you. Power Video DVD Copy allows you to back up and rip your DVDs to a wide range of mobile devices and as well as your smart TV. The software can rip a DVD for playback on iPads, Apple TV, HTC One, iPhone, Fujitsu, etcetera. Power Video DVD Copy has a built-in DVD copy feature that supports 1:1 cloning of full DVDs to ISO image, as well as to a DVD folder. You can copy the entire content of a DVD to MPEG2 file without losing the quality of your files. The process that will take 5 minutes; however, the time depends on your DVD driver speed as well as the CPU processing power. It does not matter the type of encryption there is on your DVD, with the Power Video DVD Copy can perfectly rip the contents allowing you to make a backup. The latest version has a title checking mechanism, which can access and rip a wide variety of DVDs including music DVDs, 99-title DVDs, TV, and Movie series DVDs. This is not a software for professional alone; Power Video DVD Copy has an easy to use interface. The millions of users include novices ripping DVDs for their personal use at home. Professionals such as disc jockeys music producers, etcetera use the software for work purposes across the world. What is hardware acceleration in Power Video DVD Copy? Hardware acceleration is the use of your computer’s hardware such as the graphics card and the sound card to execute the processes of Power Video DVD Copy faster than using the software alone. Some of the processes will be transferred from the CPU to specialized hardware, which works faster than the CPU. It will take you 30 minutes to encode MP3s and videos, but with the Nvidia CUDA/NVENC inbuilt in the Power Video DVD Copy software will allow you to undertake the process in a maximum of 10 minutes. It utilizes Intel QSV to process your DVD conversion as well as Nvidia NVENC, and it offers a fully speeded up encoding to high output speed when ripping DVD to MP4 as well as when you are to edit MP3 files. The Power Video DVD Copy comes preloaded with flexible choices to adjust parameters and fine turn your content for tailor-made output. This includes audio channel number, video audio codec, bitrate, aspect ratio, frame rate, resolution, just to name a few. You can customize and apply the settings that allow for cooler sound quality. Power Video DVD Copy, the best DVD ripper offers you a stress-free conversion of your DVD to MP4, MPEG, WMV, TS/MTS/M2TS, MOV, DivX, AVC, Xvid, M4V, FLV, as well as other formats accepted by windows and Mac operating systems. These formats are supported by sharing sites such as YouTube, Vimeo, Facebook, and other websites with over 350 profiles. How to Copy Video DVD?